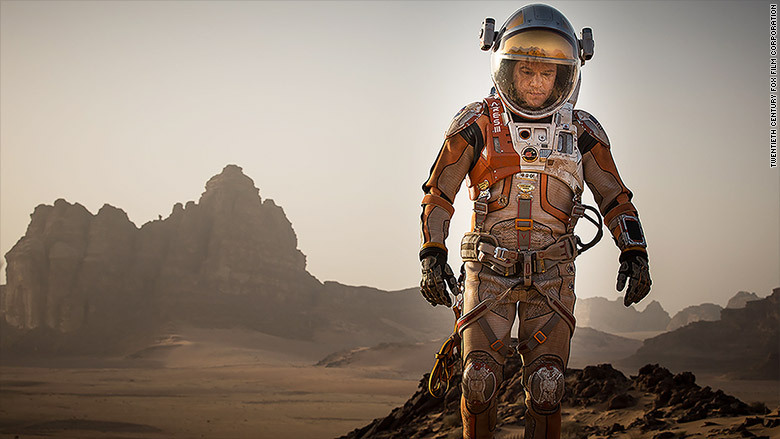 "The Martian" blasted off to near record numbers this weekend with a box office opening of $54.3 million in the U.S. The Matt Damon-led space thriller is just short of another film about astronauts lost in space, "Gravity," which holds the record for biggest October opening with a $55.7 million debut in 2013. The box office was originally estimated at $55 million, but final numbers reported on Monday have the film coming in $54.3 million. Critical acclaim and strong buzz seem to have boosted the film, which stars Damon as a NASA astronaut marooned on Mars. The film holds a 94% score on review site RottenTomatoes.com and a very strong CinemaScore of "A" from moviegoers. 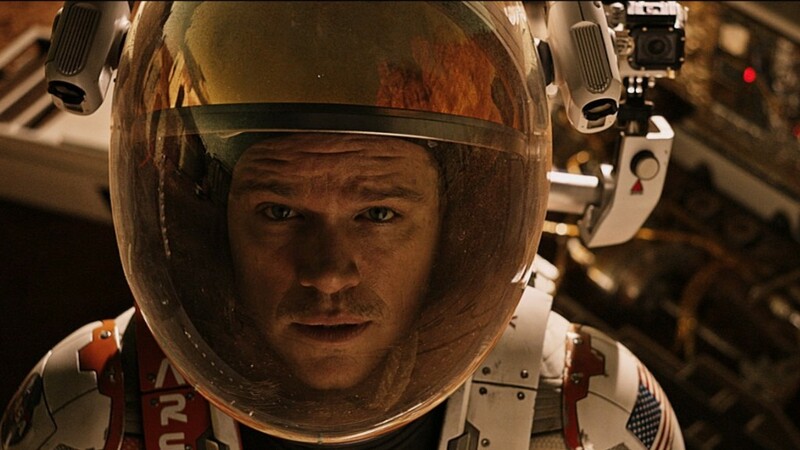 "The Martian" was one of Matt Damon's biggest box office openings. Then there was the actual red planet making news this week thanks to NASA's discovery of water on the planet. "'The Martian,' which despite not being a sequel or a franchise film, has truly captured the imagination of audiences," said Paul Dergarabedian, senior media analyst at Rentrak (RENT). "It clearly benefited from the perfectly timed and thus serendipitous NASA news related to the discoveries on Mars just this week." With the big opening, "The Martian" also became Matt Damon's second-biggest U.S. opening ever, second only to 2007's "The Bourne Ultimatum." In "Martian," Damon spends most of the movie alone on screen, and his performance has received rave reviews with some critics already saying it could land him an Oscar nomination. "The 44-year-old Damon is incredibly winning in this film," wrote New York Magazine's Kyle Buchanan. "And since he's essentially his own scene partner, it's a real showcase for his skill, charisma, and crack comic timing."